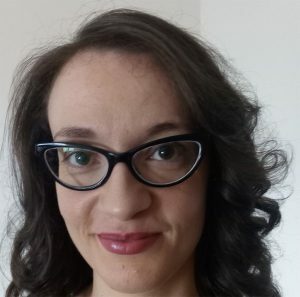 I graduated in Translation and Interpreting and then obtained a Master’s Degree with honors in Literary and Technical Translation (specialty fields: tourism, subtitling and computer game localization). I also attended a Postgraduate Master’s Course in Translation of Post-Colonial Texts from English into Italian (Literature, Essays, Drama and Cinema). As part of the course program, I worked in a publishing house, translating articles and proofreading English and Italian texts. I also attended a course in Translation of Young Adult Fiction from English into Italian. 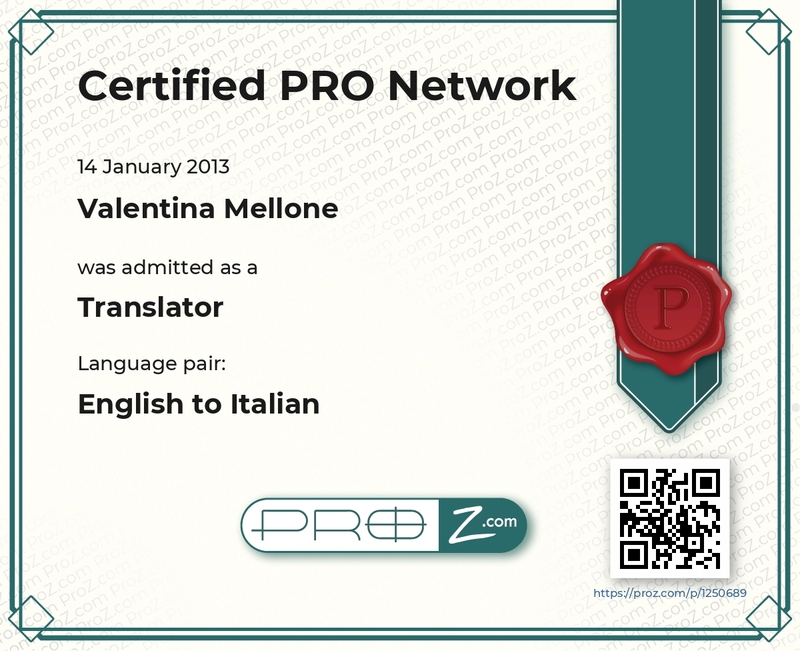 I am an AITI associate member (number 218103), a IAPTI member (number 923) and a ProZ.com Certified PRO member in the English – Italian language pair; I am also registered as an English-language expert with the Camera di Commercio di Taranto (Taranto Chamber of Commerce, Italy), number 341. I believe that continuing professional development is of the utmost importance, so I regularly attend conferences and webinars about translation, marketing, new media, etc. I also attended a creative writing course (prose, poetry, drama, comics) and some of my poems in Italian have been published in anthologies celebrating International Women’s Day in 2016 and 2017. I think that new technologies are hugely important nowadays, so I own an SDL Trados Studio 2017 license and I can also use some other CAT tools such as Wordfast PRO, memoQ, XTM Cloud and OmegaT. I have also learned some basic notions of SEO and HTML. I am also a member of the Words in Travel translator team, specialized in the Travel & Tourism industry. Since 2010 I’ve been helping translation agencies and other companies translate their texts from English or French into Italian.